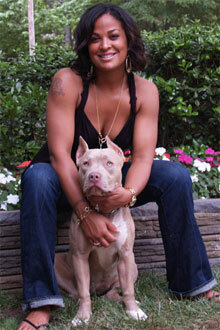 ATL KING PITS is a blue pitbull breeder and kennel who specializes in champion blue nose pitbulls and XXL blue pit bulls. We offer blue nose pit bull litters of blue pitbull puppies in the Atlanta area however we also ship many of our blue pit bull puppies to the entire continental U.S. as well as Canada. Each of our blue pit bull puppies are sold with a health certificate since we guarantee that any pitbull puppy sold will be free from any illness or defect. We strive to be the finest blue pit bull dog breeder of quality American Pit Bull Terriers in Atlanta, GA as well as other parts of Georgia and the entire South East. We are an established pit bull kennel located just north of Atlanta GA. As a blue pitbull breeder, we place heavy emphasis on owning and breeding working blue pitbulls. Our pits have a larger mass, yet maintain conformational correctness. We formally invite you to view our selection of champion purebred pitbull puppies for sale. At ATL KING PITS, you will find what we call the complete package pitbull. They will be conformationally correct with the added size, have a spirit and temperament second to none, while maintain the desire to work and please the ones they love. Our pits will succeed in protection work, hog hunting, weight pulling, and any other task you throw at them, last but not least they will serve as a loyal companion for the duration of their life. We hope that you enjoy our site and please feel free to contact us with any questions that you may have. And remember here at ATL King Pits it isn’t just about the looks, we produce intelligent, sound, and athletic PERFORMANCE BRED PIT BULLS. Why sacrifice the drive and determination for looks, when you can get the complete package here at ATL KING PITS? ATL King Pits feels that the new standard of extreme bully pitbulls has strayed too far away from the true nature of this breed. The pit bull was created to be a working dog and they love to work, therefore our belief is to maintain the working dog. 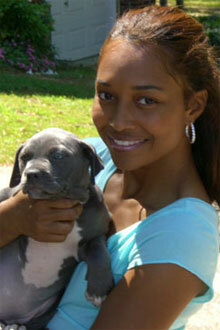 We specialize in performance bred working blue pit bulls, XL pitbulls, and blue nose pit bull puppies. In their correct form, these dogs are world class athletes, and if given the chance can perform any task with the best of them. In my opinion, their athletic ability and the determination to please their owners is what sets them apart from all other breeds. Why on God’s green earth would anyone ever want to breed these phenomenal traits out of them? The new bully-styled pits, which may be attractive to the eye, have lost their agility, flexibility, and, thus, their desire to work or please their owner. We are focused on preserving the working American Pit Bull and continuing to set this prestigious breed apart from all others. In accordance with the UKC and ADBA standards, we offer several varieties of American Pit Bull Terriers and pitbull puppies, including the popular blue pitbulls – aka blue nose pit bulls. Litters from the blue nose pits tend to contain blue fawns – aka fawn bluies – as well as buckskin, brindle, white, and of course blue pitbull puppies.